KC Rock Band & Guitar – Teaching you the music you want to learn! We believe all people have the ability to be creative and should have a place to cultivate that creativity–we provide that in the form of music lessons! While you are here researching the best school for you, please consider the benefits of becoming an KCRB student and find out why we are the number one choice for music lessons. 1. 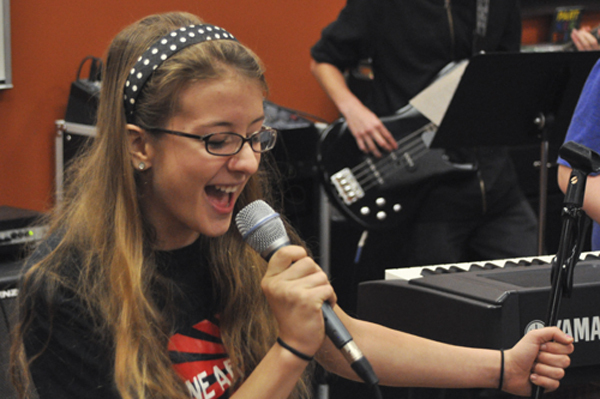 Guitar, Piano, Drums, Voice (Singing), Bass, Rock Band Classes, Saxophone, Ukulele, Flute, and Clarinet in ONE location! Save time by having all your family take lessons at the same time and at the same location! 2. Qualified teaching faculty who invest in each student. Our teachers love what they do and are professional music teachers! All have college training and professional performance experience. Our music teachers are dedicated to learning about your personal musical goals and helping you to achieve them. In addition to their teaching credentials, our teachers have warm personalities, are extremely friendly and dedicated to teaching you the style of music that you want to learn in your music lesson. Each student’s goals and future are important to us. 3. A proven record of excellence. Visit our testimonial page to see what our students are saying. We are serious about pleasing our clients. 4. A comfortable waiting area for our clients and their families. Free wi-fi, clean bathrooms, and comfortable chairs are ready for parents, siblings, and others to wait for those taking lessons. 5. Clean, spacious teaching space. Students enjoy clean, spacious classrooms for their music lessons. We rent classrooms at Evangel Church, 1414 E 103rd St. Kansas City, Missouri. Evangel has great facilities and you’ll enjoy the well-kept building. 6. Free music recitals and concerts offered several times a year, plus additional performing opportunities! Every parent wants to know how their child is doing and if they are really progressing. 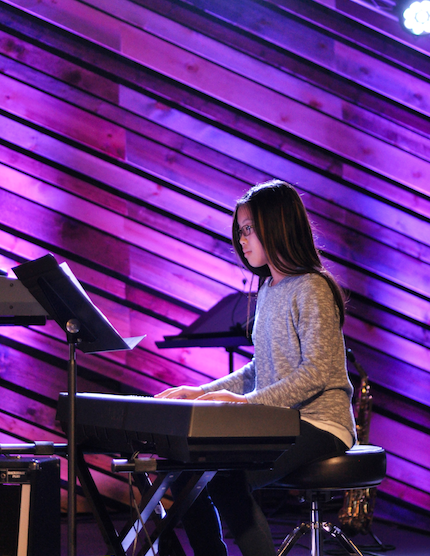 The best way for a parent to understand if their investment in lessons is really worth it, is to have their child participate in a recital. It’s also a excellent learning tool for students, as they learn about stage presence and how to perform, plus get the exhilarating feeling of accomplishment after the show! 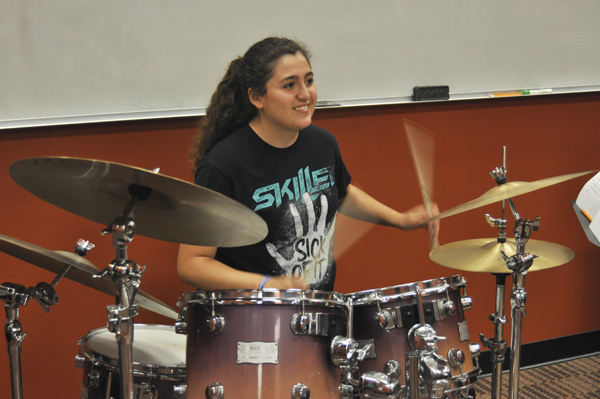 In the Spring and Fall, most of our students choose to perform in our bi-annual recitals. For our students these recitals are free and, unlike many schools, we do not charge recital participation or admission fees. We also find various outside venues, such as coffee shops and community events, to give our Rock Bands even more opportunities to perform. 7. Balancing Fun with Growth. Learning music is FUN, and it can be challenging. We strive to make sure students are growing and having fun at the same time. 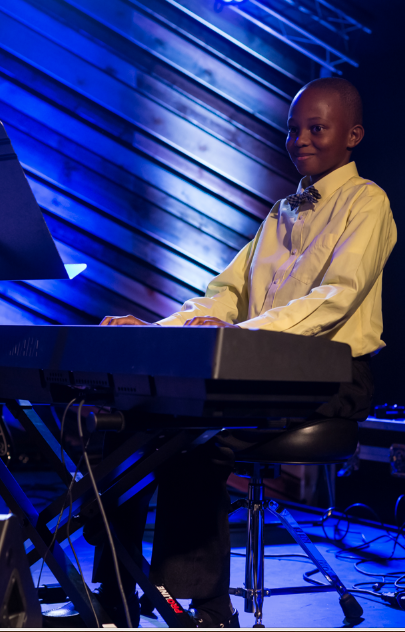 We believe learning music offers many life-long benefits–confidence, discipline, and creativity just to name a few. We love seeing our students grow in all these areas! 8. Located right off 435 Highway, West of the Grandview Triangle. Due to its central location, our school is convenient to all areas of Kansas City. We rent teaching space from Evangel Church, which is at 1414 E 103rd Street, Kansas City, MO, immediately accessible from highway 435. Our location is convenient to and we have students from Kansas City, Lee’s Summit, Leawood, Overland Park, Shawnee, Mission, Raytown, Grandview, and Independence. We bring in a professional photographer to take pictures before, during, and after one recital a year, then we send the digital copies to parents! Enjoy the performance, not having worry about having to have your camera out! KCRB does not require long-term contracts. Every student here is on a month-to-month basis. Plus we have rolling admission, so start anytime! 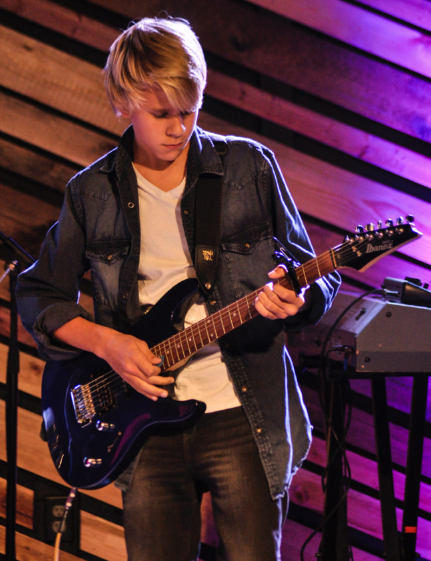 Offering top quality guitar, voice, singing, bass, drum set and piano lessons in Kansas City.